16 Civil Case Obama Challenges in Court! URGENT: Sheriff Joe and the Cold Case Posse have successfully raised more than $7 MILLION dollars to fuel their law enforcement investigation of Barack Obama’s eligibility to be President of the United States after being compelled to do so by constituents concerned about the integrity of our ballots. 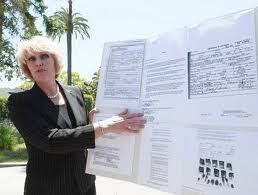 And the Posse professionals found evidence of systemic fraud, forgery, corruption and cover-up! Now, we are demanding that Sheriff Joe and the Cold Case Posse put their money where their mouth is and FILE A CRIMINAL COMPLAINT! HELP SHERIFF JOE AND THE COLD CASE POSSE TAKE THIS CASE TO COURT! DEMAND PROOF POSITIVE – SELECT HERE NOW! After nearly a year investigating and two trips to Barack Obama’s alleged place of birth in Hawaii, Sheriff Joe and the Cold Case Posse detectives uncovered EVIDENCE of fraud and forgery. They have a judiciable case that a crime against our Constitution and each and every Citizen of the United States of America has occurred with the placement of Barack Obama’s name on our election ballots through FRAUD and FORGERY, with NO PROOF of his constitutional eligibility, and CRIMINAL CHARGES MUST BE FILED. Barack Obama is driving this country into the ground – this is no time to sit on stacks and stacks of evidence! There are 16 ACTIVE civil court challenges to the Great One’s legitimacy already, but incredibly it is not yet enough for the truth to prevail! But NONE of these are CRIMINAL CASES! FLORIDA – One active state case and another in the Court of Appeals are awaiting a judge’s verdict. These are also excellent cases, seriously argued by attorney Larry Klayman on solid legal grounds. DC – A subpoena has been issued for Barack Obama’s Occidental College records in a legal challenge against the District’s Board of Election Supervisors for failing to vet the incumbent candidate. 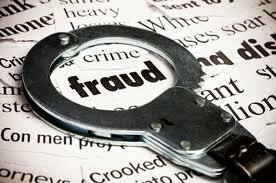 Additionally, there is an appeal of Freedom of Information in this case regarding Barack Obama’s apparently fraudulent use of Connecticut Social Security Number 042-68-4425 despite Obama having NO connection with the state! NEW YORK – Two legal challenges. CALIFORNIA – Three cases in the Court of Appeals as well as an application for the Supreme Court of the United States to STAY their certification of the California election pending confirmation of Barack Obama’s constitutional eligibility from the Supreme Court of California. GEORGIA – There are two challenges, including a related appeal in the Supreme Court of the United States. 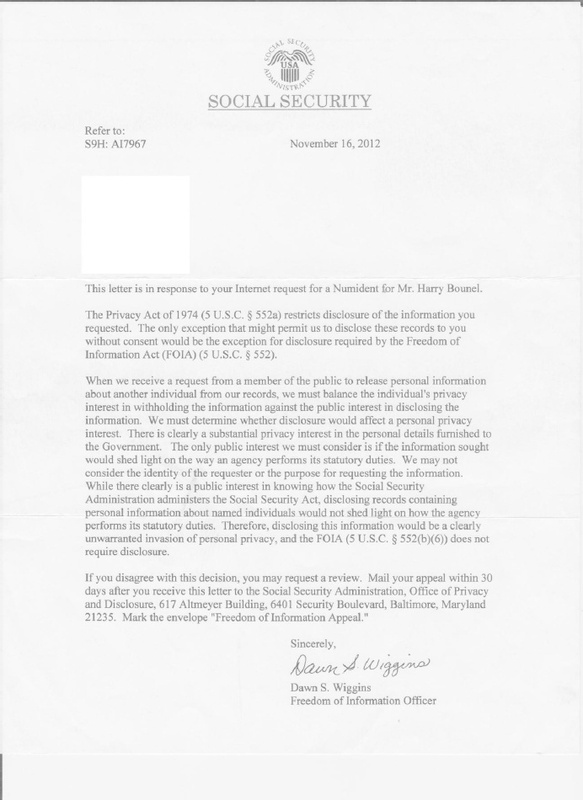 MARYLAND – Eligibility complaint against Obama is being appealed. 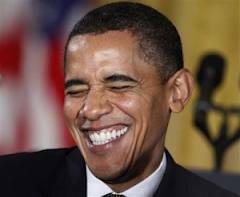 MISSISSIPPI – A racketeering complaint has been filed in a federal court against Obama, “Obama for America”, Nancy Pelosi, Hawaii Registrar Alvin Onaka and several others. And then there is another challenge to Barack Obama in the Ninth Circuit Court of Appeals. ALL this makes clear that we are not alone in our fight for PROOF POSITIVE, and we MUST PERSERVERE IN THIS FIGHT! But with the news cycle ever-changing, we must keep up our constant vigilance and our constant demands for the truth! 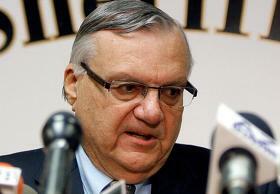 The election is over – Sheriff Joe has nothing to lose but OUR support. Sheriff Joe and the Cold Case Posse MUST be compelled to file their criminal complaint, and press America’s case for the truth! CRIMES have been committed. It’s obvious to anyone who takes the time to look at the evidence unearthed by the Cold Case Posse, and now it’s time for the next step… We MUST continue our fight for PROOF POSITIVE in COURTS across the country! The so-called mainstream media is ignoring these cases and any evidence because they are looking out for themselves, not We the People. We will not be silenced into complicity with the unlawful Obama regime! We must demand that our sheriff’s offices in our counties, and our state Attorneys General launch their own investigations into the integrity of Obama’s identity and ballot qualifications until the questions surrounding Obama’s constitutional eligibility can no longer be ignored by our courts or by Capitol Hill! 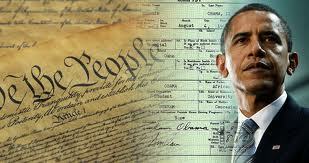 Cold Case Posse lead investigator Detective Mike Zullo recently signed a sworn affidavit that Hawaii officials are using “elaborate non-cooperation” to conceal Obama’s birth records, should they even exist, from law enforcement officers and the public. After his two official visits to the Aloha State looking for answers, Cold Case Posse lead Detective Mike Zullo has instead returned with “a series of inconsistent and misleading representations” made by Hawaiian officials over the past year that he has been assigned to the case. In his affidavit, Zullo is charging that Hawaii’s governor, deputy attorney general and health department chiefs are obstructing justice by “hiding” original birth records in an effort to stop the first ever (and only) law enforcement investigation of Barack Obama’s eligibility to be president of the United States. 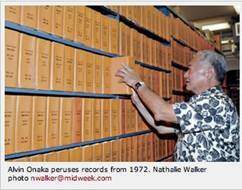 Hawaii’s efforts to hide the evidence from America ranges from calculated policy and procedure changes to simply refusing to talk with credentialed Cold Case Posse investigators in Hawaii as part of a legitimate law enforcement investigation! Whether these stonewalling actions are out of fear or out of political loyalty to the Obama machine – they are part of a criminal conspiracy to conceal felonies and could well be making those participating accessories to federal felonies! 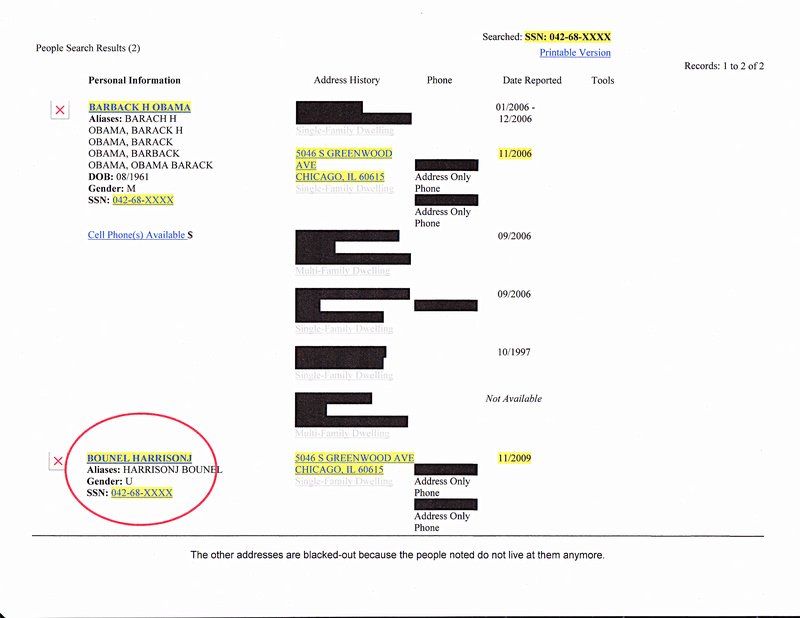 For example, when Detective Zullo went in person to Kapiolani Hospital, the alleged birthplace of Barack Husssein Obama II according to the PDF “birth record” released by the White House, Zullo was REFUSED the opportunity to view publicly available birth records for 1961, Obama’s year of birth. The hospital wouldn’t even confirm that they had Obama’s birth records! America is NOT YET a banana republic where a petty dictator can defy the law and regulations that are to apply equally to all! This conduct is NOT LEGAL and MUST NOT GO UNCHALLENGED! More recently, while Jill Nagamine, Hawaii’s deputy attorney general, finally spoke to Zullo at his assistance, she “refused to verify the authenticity” of the birth certificate released by the White House. That’s right – Nagamine refused to CONFIRM that the Obama document was in fact created by the Hawaii Department of Health, while hiding behind false accusations that Zullo did not have the legal authority to get verification of a birth record EVEN THOUGH the deputized investigators presented their law enforcement credentials to Hawaiian police before the interview! Unfortunately, despite nearly a year spent officially investigating Barack Obama’s documented eligibility for the Oval Office, Sheriff Joe and the Cold Case Posse are still being stonewalled by the people who know and who have the power to end this investigation with the truth. Detective Zullo’s sworn affidavit came one week after the publication of another sworn statement presenting mathematical analysis which demonstrates the near-zero probability that the PDF “birth certificate” released by the White House in April 2011 is genuine. And while this muddle all would no doubt have remained very sufficient as a nativity story for someone running and serving merely in the U.S. Senate, it’s not so convenient for a sitting President of the United States. When Article II of the Constitution of the United States of American explicitly states that only a “natural-born citizen” can serve as president – the facts matter! Hawaii governor Neil Abercrombie said he was present at Obama’s birth – and then he wasn’t. Just like Nagamine and Fukino, Abercrombie later changed his story. He “acknowledged that he did not see Obama’s parents with their newborn son at any hospital” though he later he said that he remembered seeing Obama as a child with his parents at social events. Of course, this undocumented and unverified statement by Hawaii’s governor comes into question considering the plethora of evidence that Barack Obama Sr., Obama’s alleged father and namesake, was never together in a family unit with young Obama and his mother. Obama Sr. left the family behind to do his own thing, or namely to go to Harvard while Obama’s mother, Stanley Ann Dunham, left the Aloha state with newborn baby in tow to attend school in Washington state. Despite Abercrombie’s promise to a Honolulu newspaper that he would search for definitive records to prove Obama was born in Hawaii, he has yet to make good on his word. 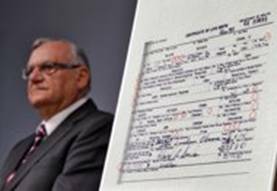 2) The fraudulent presentation of the White House forgery as “proof positive” of Barack Obama’s authentic 1961 long-form birth certificate to the residents of Maricopa County, where the investigation originated, and to the American public. Despite the media blackout, despite the stonewalling, despite the ongoing criminal conduct and conspiracy to conceal the truth, and despite the lack of will in Congress, Obama is cornered with law enforcement expert evidence – criminal acts have been committed, and the force of justice MUST prevail. Thanks to Sheriff Joe and the Cold Case Posse – and your continuing loyal support! – we now have enough evidence of fraud and forgery to present before a judge! Is American jurisprudence so corrupt that none will hear the case? We don’t think so, but it is going to take the right court to hear our case – the people’s case – against Barack Hussein Obama! With Barack Obama set to assume another term in January and our country on the verge of nose-diving over the fiscal and moral cliff, America MUST learn the truth before it’s too late! We MUST make sure that Obama is held to the rule of law, like every other person in America! We MUST convince a judge to hear this case! Time to file CRIMINAL COMPLAINTS! TELL SHERIFF JOE YOU’RE BEHIND HIM AND THE COLD CASE POSSE ALL THE WAY! SELECT HERE TO HELP AMERICA DEMAND PROOF POSITIVE! P.S. Sheriff Joe WON thanks to national support from all of us, despite rabid pro-Obama supporters and the nastiest sheriff’s race America’s toughest sheriff has ever faced. But an even bigger battle lies ahead: TAKING BARACK OBAMA TO COURT. Please, SELECT HERE right now to bolster Sheriff Joe and the Posse with a fax – you can also make your best contribution to help re-build the Cold Case Posse Proof Positive war chest and help take their evidence to court! Hi there! Civil law is rather complicated in the US, that is why I appreciate authors like you, who can make these issuer clear for readers. I bet you know lots of good lawyers and I want to invite them to submit their contacts to Attorney Directory on Attorney Online. This directory is structured by practice areas and states and gives visitors pries information about lawyers’ experience. For example, look at the category of Florida civil attorneys http://attorney-online.info/dir/civil/florida/33 Visitor can see faces of lawyers, evaluate their practice areas and choose one to call. I hope to gather there all best US lawyers. One never knows when it will be necessary to protect rights. That is why I created a directory of good US lawyers who always can help. While reading your articles I came to conclusion that you are a legal professional and can recommend best attorneys to this directory. You can submit lawyers to the section of Florida civil attorneys http://attorney-online.info/dir/civil/florida/33 or other appropriate sections. There is also a possibility for lawyers to publish legal news and articles as well as posting to Attorney Blog. I think, it can be useful to many of your friends who provide legal services.